Communication in the presence of hearing loss can be frustrating—for both parties. 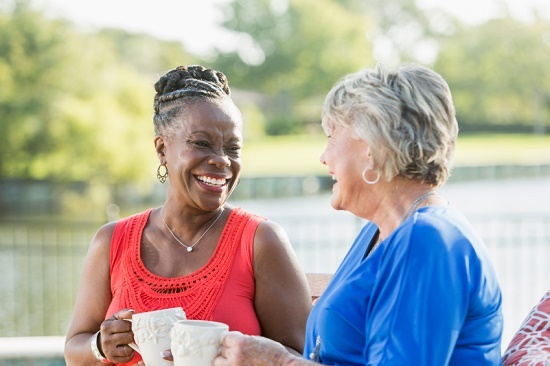 For individuals with hearing loss, partial hearing can be upsetting and tiring, and for their conversation companions, the constant repeating can be just as taxing. But the challenge can be alleviated providing both parties take responsibility for profitable conversation. Since communication is a two way process, both parties should collaborate to overcome the challenges of hearing loss. Below are a few useful tips for effective communication. Aim at full disclosure; don’t simply express that you have difficulty hearing. Explain the cause of your hearing loss and supply recommendations for the other person to best converse with you. Search for tranquil locations for conversations. Minimize background noise by shutting off music, looking for a quiet table at a restaurant, or identifying a quiet room at home. Keep a sense of humor. Our patients often have happy memories of absurd misunderstandings that they can now laugh about. Bear in mind that people are ordinarily empathetic, but only if you take some time to explain your circumstances. If your communication partner is aware of your difficulties and preferences, they’re considerably less likely to become angry when communication is disrupted. Get the person’s attention before speaking. Don’t shout from across the room and face the person when talking. Make sure the person can see your lips and enunciate your words carefully. Hold a consistent volume in your speech. Reduce background noise by finding quiet areas for discussions. Turn off the television or radio. In group settings, ensure that only one person is speaking at any given time. Remember that for those with hearing loss, it is a hearing problem, not an understanding problem. Be prepared to have to repeat yourself occasionally, and remember that this is not the result of a lack of intelligence on their part. Never say “never mind.” This phrase is dismissive and suggests that the person is not worthy of having to repeat what was significant enough to say in the first place. When communication breaks down, it’s convenient to blame the other person, but that’s the wrong approach. As an example, consider John and Mary. John has hearing loss and Mary has normal hearing, and they are having considerable communication problems. John is convinced Mary is insensitive to his hearing loss and Mary believes that John is using his hearing loss as an excuse to be inattentive. Instead, what if John discovered methods to develop his listening skills, and provided tips for Mary to communicate better? Simultaneously, what if Mary did the same and tried to find ways that she could communicate more clearly. Now, both John and Mary are accepting responsibility for their own communication and are not blaming the other person for the problems. This is the only path to better communication. Do you have any communication recommendations you’d like to add? Tell us in a comment.